Our beautiful signature flamenco frock in a stunning purple edition! 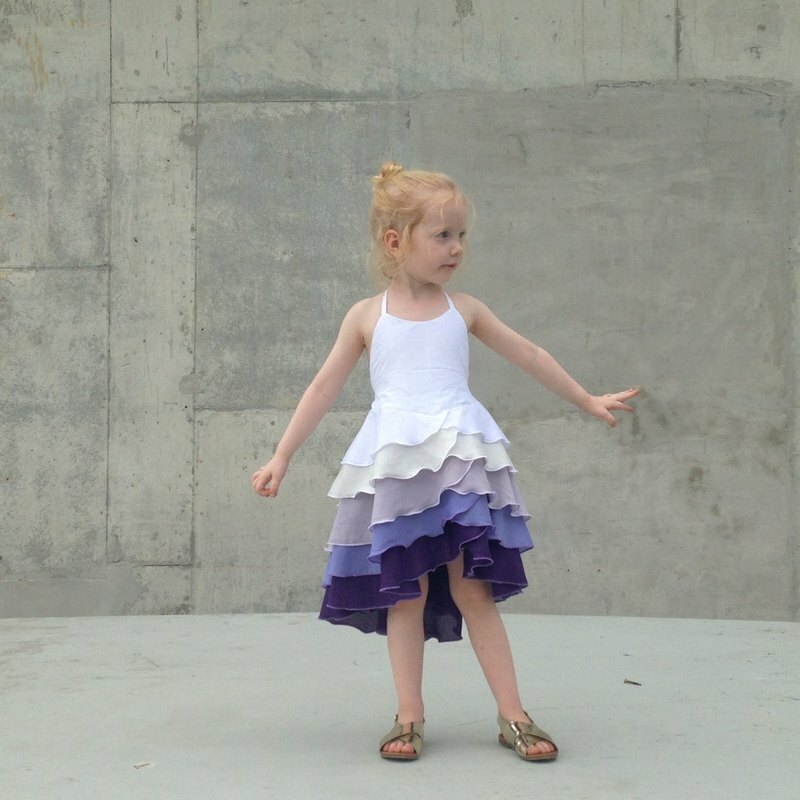 This stunning dress is a statement piece worthy of every little girl’s wardrobe. Precious enough for special events, it’s flexible design is also perfect for everyday play… -slender halter straps for adjustable length and extended garment life -beautiful full layers are tiered to fall with fullness and drape -delicate rolled hems give an elegant and durable finish -featuring internal French seams throughout garment -full voile lining -100% pure cotton voile -regular Olivia wears a size 3. Wrap up your little princess in these utterly scrumptious ruffles! This delicate yet practical dress is tiered to create voluptuous volume, and its tied halter straps give it a longer life as your child grows. Made of pure cotton, it's as lightweight, soft and breathable as it looks! Available made to order in sizes 1 year to 5 years. I lovingly hand make each design I create, and it's important to me that the clothes I produce have something truly special to them, while being something that children love to wear.Manufacturing location(s)/process(es)Hand made in Australia.